Update: In late July, American Well added another $75.4 million, bringing the round total up to $365.4 million. Boston-based telemedicine giant American Well has recently filed an SEC document revealing that the company raised $290 million in funding. According to the document, which was filed on June 29, the company is looking to raise up to $314.7 million within this funding round. The last completed SEC filing by American Well was in 2014, when it raised $81 million. In January, the company also announced that it landed $59.2 million from Allianz Group’s digital investment unit, Allianz X, but has not commented on whether this investment is part of the June filing. At the time, American Well and Allianz announced a partnership between the two organizations with the goal of developing a digital product that will expand healthcare access, lower costs, and improve healthcare quality, the companies said. Also in January, the company also announced a partnership with technology giant Philips consisting of a multi-year agreement to intergrate American Well's virtual care capabilites into Philips' consumer and professional digital health products, according to a statement. American Well's telemedicine services will be integrated into the Philips Avent uGrow parenting platform, which aims to give parents 24-7 access to professional medical consultation. But the company hasn’t just been growing in funding. Recently, it announced that it has acquired fellow telemedicine company Avizia in April. The acquisition was expected to help American Well grow its acute care capabilities, which Avizia specializes in. The deal gives American Well access to Avizia’s hospital-based cart lineup and custom software workflows for over 40 clinical specialties, such as telestroke and telebehavioral health services. A high-profile name in the telemedicine space, American Well has been around since 2006. The business has been making additional deals as of late with companies including Samsung and Medtronic. 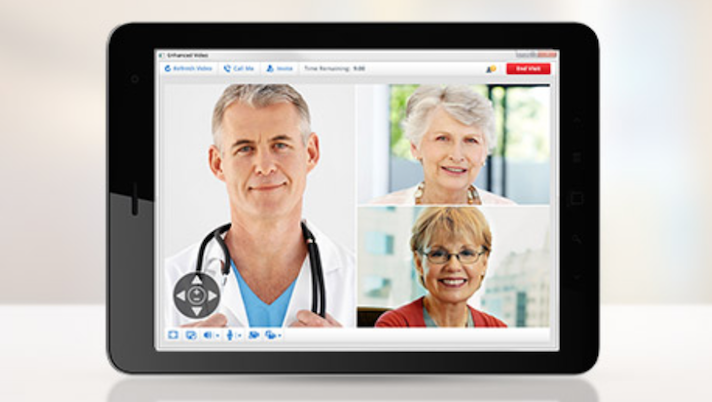 At HIMSS18, Dr. Ido Schoenberg, American Well co-CEO, said the company has been laying the groundwork to pull back from video visits and establish itself more broadly as a connector technology that will help various stakeholders in healthcare work together remotely. Schoenberg said the company’s goal is to be as ubiquitous and invisible as Oracle, connecting hospitals, insurers, employers, and consumer-facing tech companies like Apple and Samsung, all for the purpose of delivering healthcare anywhere.